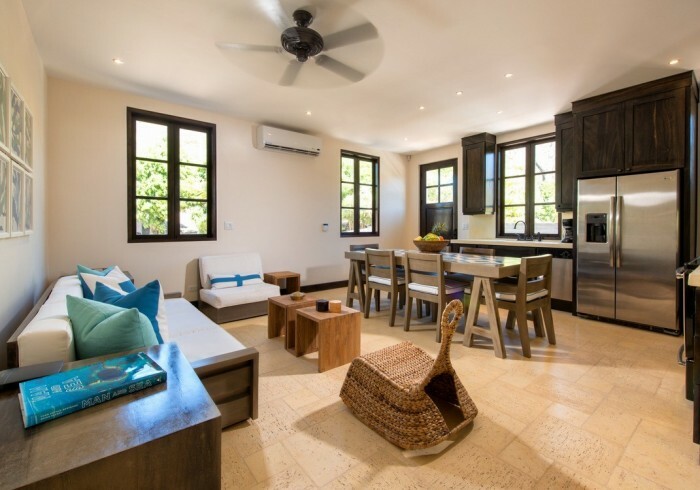 26 Avenida La Antigua is a fabulous two-bedroom, two-bathroom flat. Whether romantic or party-themed, the kitchen allows for all sorts of culinary experiences. Relax and unwind in the homey media room, or simply rest under the natural light that falls in the family room. Besides a delightful king size bed, the master bedroom offers a magical private balcony. The guest bedroom features bunk beds and a trundle, perfect for kids or friends traveling together.